Though not the typical regular and repetitive pattern, these Perforated Metal Pedestals are a nice addition to that thread of material here on FixturesCloseUp. 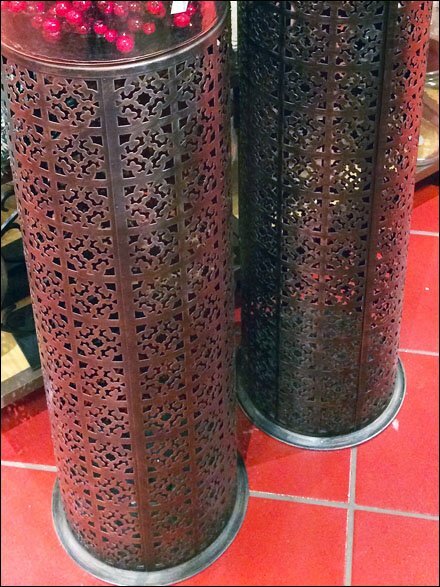 I would hint at my age if I said I had seen as traditional radiator covers, but instead lets classify as Architectural Grillwork shaped and on display at Pier 1 Imports®. There are a gazillion decorative patterns available so don’t hesitate to add texture and detail to your fixtures. 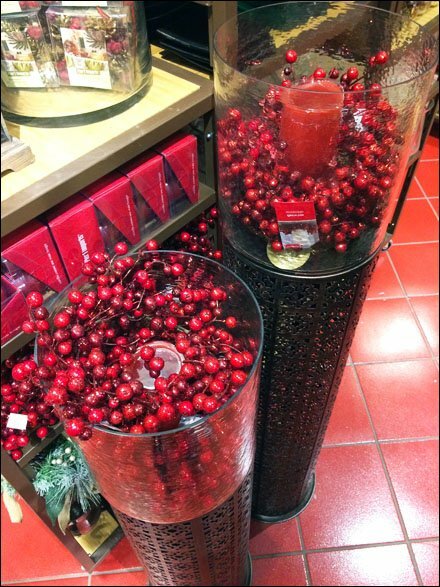 Here the merchandising “hero” seems more the Holly Berries than the Christmas Candles. But the projection of color wins the day whatever the merchandise. CLICK through the thumbnail and gallery for various views of this Peir 1 Imports outfitting.